Mumbai: It was a packed house screening for renowned filmmaker Christopher Nolan's "Interstellar" and "Dunkirk" here. A 70 mm IMAX film screening of "Dunkirk" was held at 6 pm at Carnival Cinemas, IMAX, Wadala and a 35 mm film screening of "Interstellar" at 8.30pm at Carnival Liberty Cinema, Marine Lines, where Nolan took the centre stage, last evening. Nolan is in India to support filmmaker-archivist Shivendra Singh Dungarpur, founder of Film Heritage Foundation (FHF) in drawing attention to the importance of celluloid in the digital age through "Reframing the Future of Film" along with noted visual artiste Tacita Dean. The 47-year-old director first arrived for the screening of "Dunkirk" with his producer wife Emma Thomas and Tacita, where they were greeted in traditional style with tilak and garland. "We can't wait for this day when we are going to watch after 26 years a film on 70mm. Isn't it emotional? We are going to watch an original creation created by a creator, who is going to show us one of his most wonderful films. We are very delighted to be part of 'Reframing the...'," Shivendra said. Emma said Nolan always wanted to come to Indian with his film. "Thank you very much for having us here. We always wanted to come to India with a film and we are sorry we are late. We are excited to present the film here, the way Chris had intended," Emma said. Nolan said he was grateful for the welcome that he has received in India. "I have been to India before for a brief period for 'The Dark Knight'. It is very exciting to be back here spending bit more time and for this great event that we have been doing with Tacita and Shivendra about 'Reframing the Future of Films'," he said. The director said he was happy to screen "Dunkirk" in India. "...It is exciting for us to see Indian audience see the film this way. We are excited about helping Shivendra bring attention to the cause of celluloid and future of cinema. I hope you enjoy the film," he said. Looking at the packed house, Shivendra, said, we want more 70mm films in India and requested Nolan to have a retrospective of his films. "Maybe sometime in the future...we could do that," Nolan said. Later, they all arrived to equally enthusiastic audience for the screening of "Interstellar". The director waved at the audience and thanked them for coming for the screening. "For us it is about the place of films in the future. And screenings like this are very very important in showing people movies the way they were shot, made and wanted it to be shown. 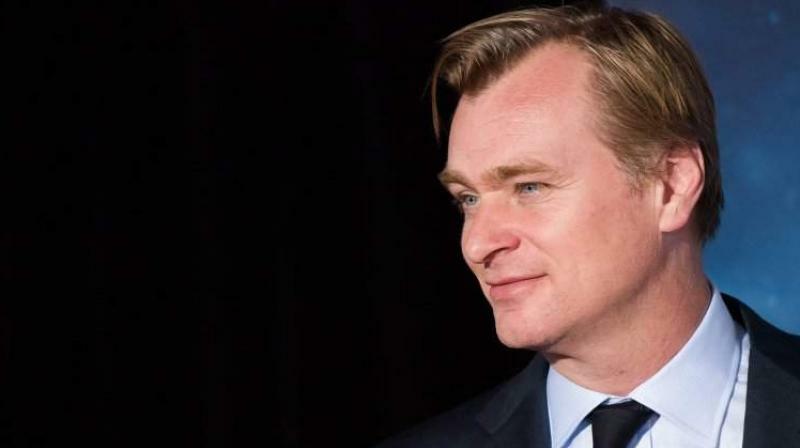 'Interstellar' was never shown like this and we are excited to show like this to all of you," Nolan said. The trio - Nolan, Tacita Dean and Shivendra talked about "Reframing the Future of Film" at NCPA.